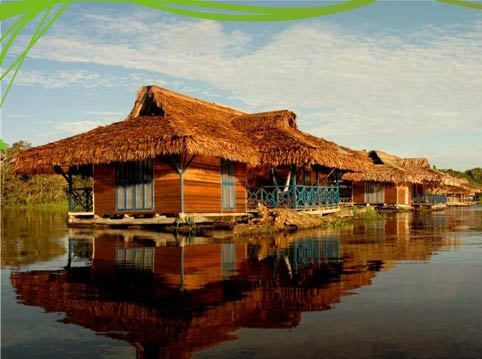 To be the best example of ecotourism in the Amazon, providing leisure, lodging and food services of excellent quality in the Mamirau� Reserve, supporting conservation and generating income to the local population, with minimum social and environmental impacts. The Uakari Lodge is composed by seven floating structures made out of wood and covered with thatch. These structure float because were built on floating timber. They are all connected through floating runways. The Lodge was designed for minimum environmental impact, with appropriate technologies such as rainwater collection, solar power for lighting and water heating, and a sewage filtration system. The lodge has only 10 apartments with bathrooms and the capacity to accommodate in total 20 people at a time. 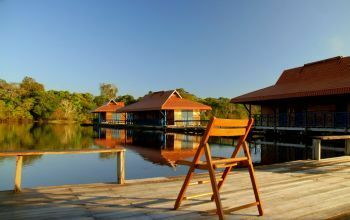 The lodge also has a central floating structure with reception area, restaurant, bar, TV room, library and conference room. We also have laundry services. The lodge has 10 comfortable, simple and ample (25m�) apartments. Each one has its own terrace, bathroom and two single king size beds. The apartments' windows have nets and the roofs are covered with thatch. All apartments have a view to the forest from the terrace. The Uakari lodge has transport infrastructure with speedboats, motorized and regional canoes. The 40 hp engine speedboats are used in the transfer from Tef� to the lodge, and are covered and can take six people at a time. (Please beware that you should only bring a maximum of a 15 kg baggage item). 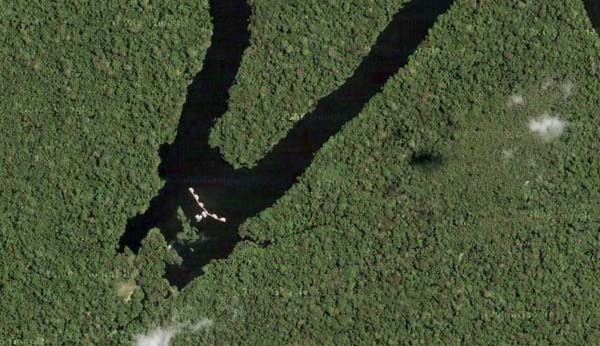 Leisure infrastructure is composed of interpretation and observation trails, and also a structure built inside the forest for photographing and observing animals. There is also a VHF radio communication system (there is no telephone). You can charge your batteries only a few hours a day, so please bring extra ones.